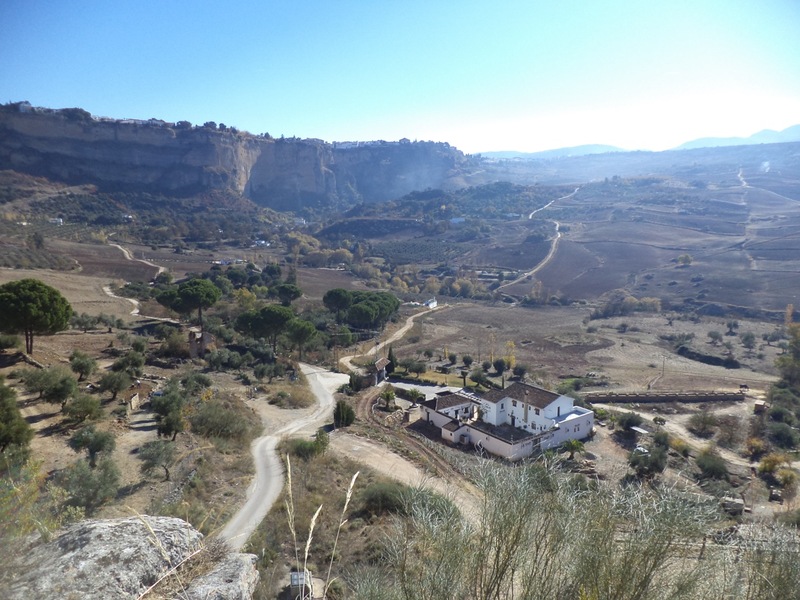 Ronda is spectacular by nature, surrounded by mountains and devoid of big-city smog and pollution. Seen from afar, it is truly pristine. 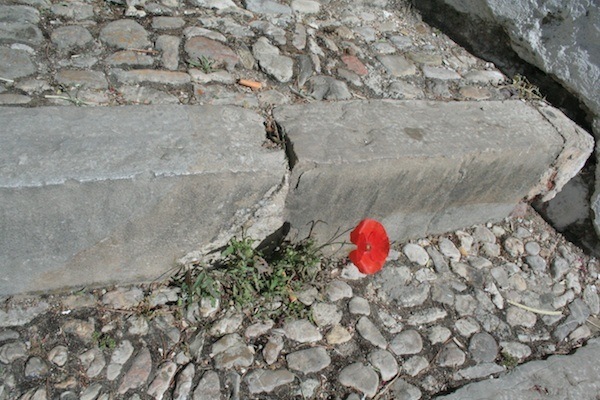 Yet like many Spanish towns, we have a problem with garbage and dog ‘droppings’. Clearly not something a major tourist town would like to be known for, nor wish to admit to, but the truth is that all modern consumer societies have problems tackling their residue and Ronda is no exception. 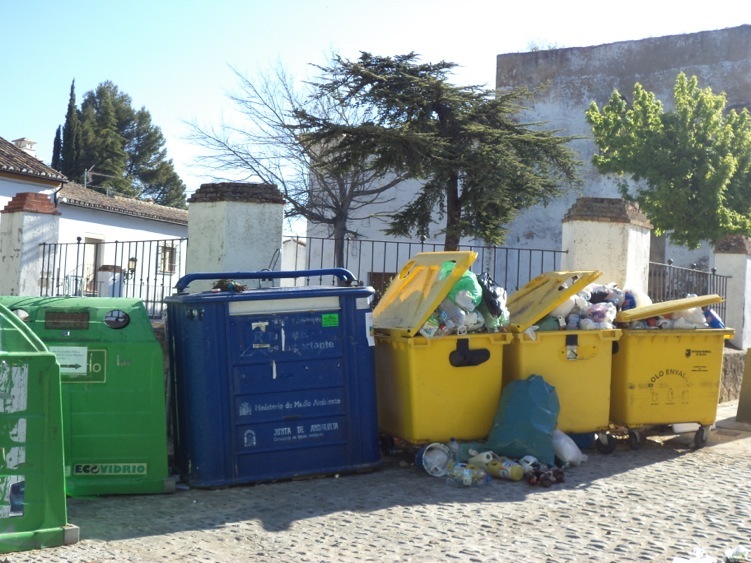 Having moved from a large city in Canada to a small town in rural Spain, we could not avoid but noticing the difference in how people tend to their garbage and recycling. Not to say that all British Columbians are law-abiding environmentalists, but there is a strong sense of communal responsibility, as well as a no-less-powerful ‘culture of shaming’ which keeps local neighbourhoods and towns relatively clean. Of course not all rondeños leave a trail of garbage, but some residents unfortunately lack the education or the will to take responsibility for their refuse. This communal challenge ought to be addressed, if for no other reason, because of the town’s main industry and income source – tourism. Small Spanish towns such as ours have gone through a relatively rapid change from a farm-based to a tourist-based economy in the space of a couple of generations. While older residents often grow their food and follow the ways of the past, the younger generations working and living in the downtown area have quickly adapted to modern-day conveniences and unfortunately also ‘use and throw away’ consumer habits. This goes for anything from appliances to candy wrappers, which some residents unfortunately will ‘forget’ or leave for others to tend to. Just as people elsewhere will claim that it is ‘good luck’ to be hit by a bird dropping, in our town (possibly due to the impossibility of avoiding it…) people say that it is ‘good luck’ if you step in a dog pile. Of course, this is a fallacy. Rather oposite, it is a spreader of bacteria and disease. But as with recycling and proper bin use, picking up after ones dog is something that has to be taught – through community campaigns, education, shaming, use of role models, and possibly the most effective – through fines. Wishing to help Ronda deal with its refuse challenge, I made a proposal to Ronda’s environmental delegate, Rafael Flores. He liked the idea and arranged for me to meet the town mayor, as well as head of police, culture, tourism and sanitation. All agreed that something had to be done, and in November of 2013 Ronda Limpia became a reality. Ronda Limpia is a volunteer community movement and environmental public engagement campaign. We encourage rondeños to make a cleaner city, while promoting the concepts of reducing, reusing, recreating and recycling. In addition to spontaneous volunteer public clean ups, online information campaigns, a reusable art competition, promotion of reusable bags etc., we will host an event El Día de Ronda Más Limpia on the international day of recycling, May 17, 2014. So far, we have had an overwhelming response from local and provincial media, as this type of community movement in fact has not been tried here before. As expected, we have also met naysayers and outright deniers, who insist that Ronda is clean and that we are making the town look bad! Most residents though are very positive to what we are doing and in in agreement that something should be done. We know we have big challenges ahead. Next Monday we hit the street again, this time cleaning dog droppings. Clearly we do not enjoy picking up other peoples’ dog excrements, but one has to start somewhere. Though many local dog owners are responsible citizens, others need to be told that their pets are not like self-cleaning ovens and that the streets and park of our town are not a giant public canine loo. 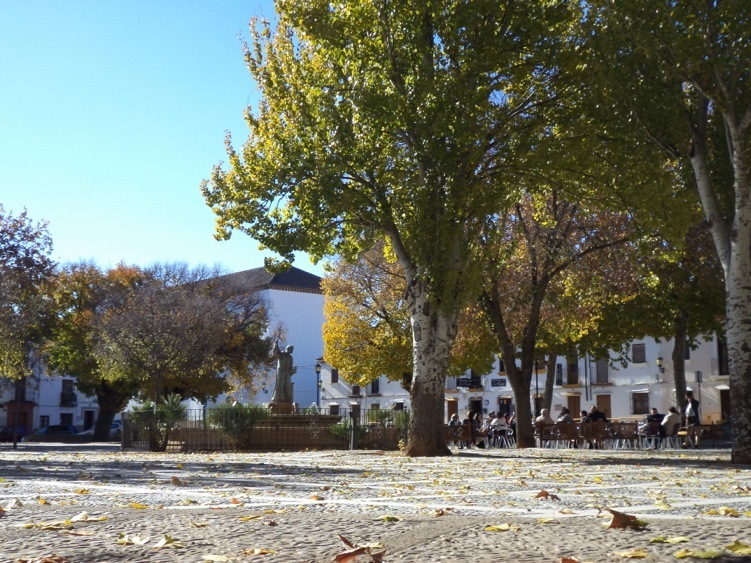 Getting the owners to bring bags and actually pick up after their pets will be a challenge: With less than 40.000 inhabitants, Ronda has more than 9.000 registered dogs (! ), and one can only guess how may un-registered ones. Calculate just one dropping per dog per day and you can imagine what we are up against…. 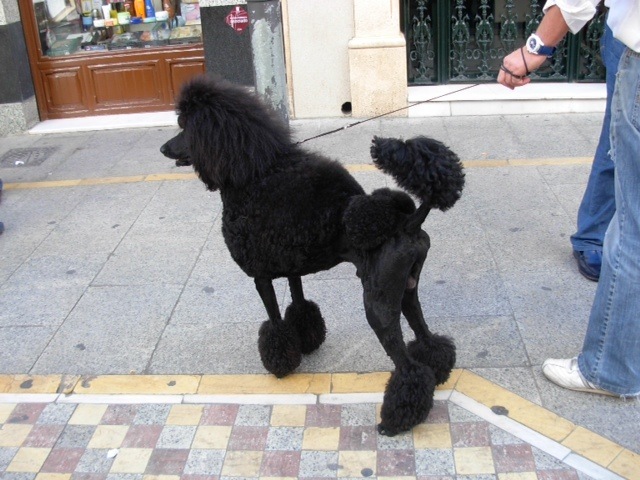 For Ronda to remain a place which tourists will enjoy visiting and will wish to come back to, we need to put our best foot, or should I say paw, forward. For more information: Join our Facebook or become a volunteer. Our web site www.rondalimpia.com will hopefully be up soon. What a great initiative, Karethe! I wish you bins and bins of success.